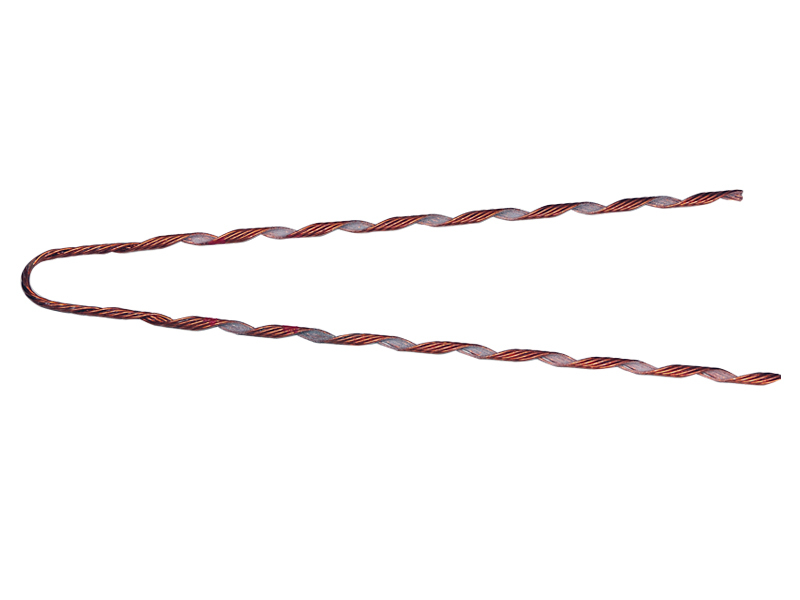 For use on: Copper covered steel strand. Left hand lay is standard. HG 415 50 35 25 10000 0.303 to 0.313 Red N/A 3#7 10M 7#10 5/16"
HG 422 25 50 36 20000 0.427 to 0.442 Yellow 2/0 12/W 2/0 F 7#7 20M 7/16"
HG 424 20 54 39 20500 0.475 to 0.492 Blue 3/0 12W 7#6 1/2"
HG 426 15 58 45 30000 0.545 to 0.573 Yellow 4/0 12W 19 #9 7#5 9/16"